Wednesday evening I had a super fun ride on Clarkamas, aka Clarky, aka Clark Kent. I have decided this is a very apt name for him as he really is a superhorse. We have only jumped together twice before this, and we jumped around on Wednesday like old pros. It was SO FUN. I seriously cannot wait until Rio is ready to be doing the same kind of work. So much of what I get to work on with Clark is going to translate over to my rides with Rio. I am still learning the “hunter” ride, and it is amazing to get a feel for it with Clark. Seriously, you just leave him alone. I am the worst at doing nothing. 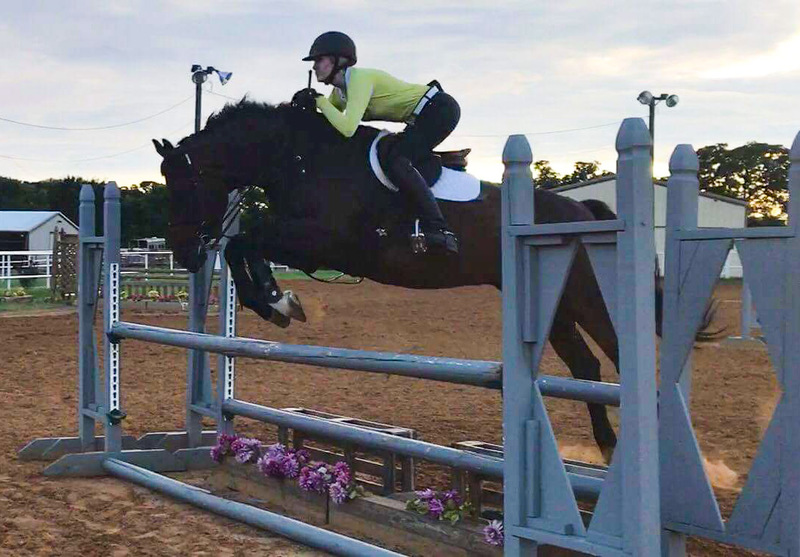 I tend to sit quiet then over ride the last 3 strides or so and mess things up. Clarky really just wants you to chill and trust him. ClarkKelly8.23.17 from Kelly on Vimeo. It seems that the key to Clark is getting a good quality canter, being patient during long approaches, sitting tall, and no touchy of the face. It felt so EASY when it all came together. Like, major light bulb moment. Stay patient and do not interfere you say? Who knew. 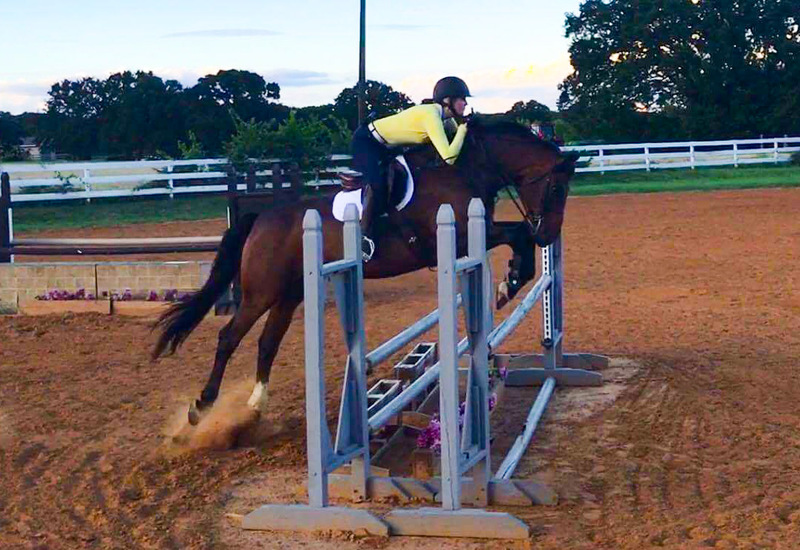 Of course this lovely jumping only comes after many months of solid flatwork, but it is nice to feel how things can come together when done correctly. I look forward to continuing to learn with him! Rio is doing good- suture sites still looking good. I took pics but it pretty much looks the same- will post more in a few days when we have progress to show! I want to keep him. 2 ponies would be great fun!